LAST UPDATED MARCH 20, 2013. AncestryDNA wants to help everyone to discover, preserve and share their family history through its DNA testing service. We want you to feel comfortable using your DNA to further your understanding of your family history. We also want to help you understand how your DNA information is shared with others and how your personal information and privacy is protected. In this Privacy Statement, AncestryDNA shall mean Ancestry.com DNA, LLC. ("AncestryDNA" or "we"). AncestryDNA operates the website located at ancestryDNA.com or via the section of Ancestry.com' s website located at dna.ancestry.com (the "AncestryDNA Website"). AncestryDNA takes your privacy seriously and it is at the core of the decisions AncestryDNA makes when providing you with this service. Please read this AncestryDNA Privacy Statement and the AncestryDNA FAQs for more details. This Privacy Statement applies to users registering on the AncestryDNA Website to use the Service (as defined below) on or after March 20, 2013. For subscribers or registered guests before that date this Privacy Statement is effective on April 20, 2013. For previous versions of this Privacy Statement click here. AncestryDNA has been awarded TRUSTe's Privacy Seal signifying that this privacy statement and practices have been reviewed by TRUSTe for compliance with TRUSTe's program requirements including transparency, accountability and choice regarding the collection and use of your personal information. The TRUSTe program covers only information that is collected through dna.ancestry.com and does not cover information that may be collected through our mobile applications, mobile Websites, or through any downloadable software that may be available on our Website or from third party sites, which are covered by their own privacy statements, which you should review. TRUSTe's mission, as an independent third party, is to accelerate online trust among consumers and organizations globally through its leading privacy Trustmark and innovative trust solutions. If you have questions or complaints regarding our privacy statement or practices, please contact us at memberservices@ancestrydna.com. If you are not satisfied with our response you can contact TRUSTe here. AncestryDNA complies with the U.S. - E.U. and U.S. - Swiss Safe Harbor Framework as set forth by the U.S. Department of Commerce regarding the collection, use and retention of personal data from European Union member countries and Switzerland. AncestryDNA has certified that it adheres to the Safe Harbor Privacy Principles of notice, choice, onward transfer, security, data integrity, access, and enforcement. To learn more about the Safe Harbor program, and to view AncestryDNA's certification, please visit http://www.export.gov/safeharbor. By using the AncestryDNA Website and the services herein you consent to the collection, use, storage and disclosure of your personal information by AncestryDNA in accordance with this Privacy Statement. It should be read in conjunction with the AncestryDNA Terms and Conditions and the AncestryDNA Consent Agreement. 2. What personal information does AncestryDNA collect? 3. How does AncestryDNA use your personal information? 4. Will AncestryDNA disclose any of your personal information to third parties? 5. May you refuse to provide personal information to AncestryDNA? 7. What about non-personal information, 'cookies' and IP addresses? AncestryDNA offers a new DNA testing service to enable users ("Users") to provide saliva samples, from which we extract and perform certain tests on their DNA ("DNA Tests"). We also provide an online service where Users can discover their ethnicity and find possible relatives who 'match' with the results of the DNA Tests ("Results"). This involves the collecting, processing, storing and sharing of personal information and we want to ensure that this is done in a responsible, transparent and secure environment that fosters your trust and confidence. Personal information is information that can be used to identify you, either alone or in combination with other information. Much of the personal information on the AncestryDNA Website is uploaded by Users for their own personal purposes. We recognize the confidentiality of information that may be disclosed by Users in registering or making purchases from the AncestryDNA Website or performing DNA Tests and we are committed to help protect your privacy choices. 2. What Personal Information Does Ancestrydna Collect From Or About You? i) Name, Contact Information and Payment Details: AncestryDNA asks for your name and e-mail address when you register as well as when signing in to use certain features, such as viewing your Results. In addition we may need to know your postal address and payment details to facilitate payment and fulfilment for any subscription or other payments you may choose to make through the AncestryDNA Website. We may ask for similar information at other times, such as when you enter sweepstakes or other promotions sponsored by AncestryDNA and/or any company with which we may co-sponsor an activity. ii) Genetic Information: this is generated when you submit a DNA sample and we perform the DNA Test. The resulting genetic information in the form of Results is kept by us or on our behalf with third parties with whom we contract. All DNA samples are stored either at the testing laboratory or other storage facilities and may be kept by us unless or until circumstances require us to destroy the sample or it is no longer suitable for testing purposes. iii) Your Background and Interests: As a user of AncestryDNA, you can also choose to share certain information about yourself, your background and interests with other Users. The amount and type of profile information you share in this way is your choice; remember sharing of information may often help you find that additional relative. See Understanding and Managing Your Privacy Settings below for more information on how you can edit or control what you allow other Users to see about you. iv) Your Opinions and comments: If you participate in community discussions, blogs, chats, communications between us or between you and other Users, in disputes and while communicating with member services. v) Your Use of the AncestryDNA Website: While you use the AncestryDNA Website, we may collect information that could be used to identify you if combined with other information and which is based on your interaction with the AncestryDNA Website or from the devices or computers you use to access the AncestryDNA Websites, including web log information, page views, IP addresses, geographic location (if detectable from a mobile device). When you provide us with any personal information, which includes your DNA sample, that personal information will be stored and processed in the United States of America. In the event that you are located outside the USA and still choose to order a DNA Test kit and provide a DNA sample, by providing us with personal information, you specifically consent to the transfer, storage and processing of personal information to and in the United States, which you recognise may provide a different level of protection for personal data than in your country of residence. AncestryDNA takes security of your personal information seriously and you should read our AncestryDNA FAQs for more information. i) To provide the Service: We primarily use of all your personal information to provide you with relevant information such as Results concerning your ethnicity, suggested matches of others who have undertaken the DNA Test or provided us with test results from other DNA tests they may have taken, the latest information about DNA Tests or other User's activity. AncestryDNA may also use registration information to let you know about new features or other offers of interest from AncestryDNA, or to address customer service needs and requests. We also use your data to fulfil the purposes for which you have provided the personal information, such as processing your order. iii) To send you emails: AncestryDNA may send electronic mail to you to inform you of changes to AncestryDNA or of any AncestryDNA-related products and services. You can also choose to receive promotional offers from third parties trusted by AncestryDNA or Ancestry.com. If you do not want to continue to receive such emails, you may opt out at any time by using the unsubscribe link listed in the e-mail or by amending your 'e-mail preferences' in the 'MyAccount' section of the www.ancestry.com website. iv) To distribute advertiser or sponsor messages: we do not provide advertisers with access to individual account information. AncestryDNA does not sell, rent or otherwise distribute the personal information you provide us to these advertisers unless you have given us your consent to do so. Advertisers may request that their advertising message be shown to select types of Users by using aggregated demographic information. In this case, AncestryDNA then displays the ad to appropriate Users based on the criteria specified in the order. In this context, we may work with third party service providers and advertisers who will arrange for targeted ad displays to you (which involves cookie placement - as discussed in more detail below). v) To Research the human genome. If you voluntarily agreed to the AncestryDNA Consent Agreement we may use the Results and other information in an aggregated and anonymous form, for the purposes of research and publication and in accordance with the AncestryDNA Consent Agreement. 4. Will Ancestrydna Disclose Any Of My Personal Information To Third Parties? AncestryDNA discloses your personal information to third parties in very limited circumstances as set out below. i) To third party service providers, under the protection of appropriate agreements, so that the third parties may perform various tasks for us. For example, we use third parties to process payments from you and to help manage the AncestryDNA Website and relationships with you. For performing the DNA Tests or storing samples we may use approved specialized laboratories or storage facilities. These third-parties are only given access to that information needed to perform their services, and are prohibited from using it for other purposes. Processors may include affiliated and unaffiliated service providers in in the United States, Europe and in other jurisdictions. Please note: If you click away from our AncestryDNA Website to visit the site of any third party advertiser or sponsor, you may be asked for your payment card or other personal information in order to purchase or use products and services offered. These companies have their own privacy and data collection practices. We have no responsibility or liability for these independent third party policies. You should therefore review their privacy notices carefully. In addition, when you visit any other sections of the Ancestry.com website, you will be subject to the Ancestry.com Privacy Statement which you should review and understand. To gain full access to your Results a username, e-mail address, activation code and password are required. The amount of other personal information you decide to submit to AncestryDNA is up to you but understand that your experience of the AncestryDNA Website may suffer if you choose to provide no additional information. If you do not provide us with your DNA sample, for example, you cannot receive any Results. REGISTRATION WITH ANCESTRY.COM: if you are not already registered with Ancestry.com you will need to create your own user name and password that will give you access to your Ancestry.com and AncestryDNA accounts in the future. You should keep this information secure and not share it with anyone. Please note, when you visit other sections of the Ancestry.com website, including to initially register or benefit from your existing Ancestry.com subscription, you will be subject to the Ancestry.com Privacy Statement and Ancestry.com Terms & Conditions which you should review, understand and accept. DNA TEST ACTIVATION: when you order a DNA kit you will be given an activation code unique to you and which you will use to activate your DNA test kit on the AncestryDNA Website (or that of someone else if you have ordered on someone else's behalf). Only you have access to your AncestryDNA test and Results. RESULTS: when your Results are ready you will be able to access them through the AncestryDNA Website; because we want you to be able to find possible relatives, your Results will automatically go into our database so we can identify any possible matches for you. A match is another Result or DNA sample that appears to be a close genetic relation of yours. RESULTS (ETHNICITY) SETTINGS: You can choose to display your full ethnicity to other matches or only the ethnicity elements that are shared by potential matches. You can do this by going to the status page and selecting the "Manage Test Settings" link. You can then check or uncheck the box next to "Show your complete ethnicity profile to your matches"; if it is unchecked only your partial ethnicity will be shown. The default setting is a checked box, meaning your full ethnicity will be shown if you do not choose otherwise. If you do not want others to see your Results at all, then you can delete your Results, however you will then not be able to benefit from the Service, including seeing the Results of others. If you have ordered a DNA Test for another person then the above default settings will apply to their Results; they will be able to change these in the event they take over the management of their Results. MATCHES: If there is a possible match, you will be able to see the ethnicity of this match and the display name of the User. Those possible matches will be able to see your ethnicity (full or partial depending on what you have chosen to share) and your display name. They cannot see the other Users you may match with. If the possible matches to you have a tree on Ancestry.com, then you may also be able to view those Ancestry.com trees (depending on the individual's tree settings and whether you have an active Ancestry.com subscription). To read more about tree settings on Ancestry.com click here. RAW DNA DATA:Some users wish to download their raw DNA data. Raw DNA data is the data that's generated in the lab from your DNA sample, before it is processed or "translated" into usable information for family history research. The information that you'll receive with your AncestryDNA raw data will include the 'rs' ID where possible, chromosome, and the base pair position on the human reference genome (GRCh37). To download this data, users log in and visit the AncestryDNA status page, click on the link 'manage test settings' and then click on the 'Get started' button on the right under 'Download your raw DNA data'. Please note that once you receive the downloaded raw DNA data, that downloaded copy will not be protected by our security measures. There are also a number of default and other settings on our Ancestry family of websites that are there to improve your user experience as well as to protect your privacy. See the Ancestry.com Privacy Center for more information about Ancestry.com's privacy philosophy and general approach on privacy. YOUR DNA SAMPLE: we will store your DNA sample for you indefinitely unless or until circumstances require us to destroy the sample or it is no longer suitable for testing purposes. PLEASE NOTE that in the event that you or we delete Results, copies of that information may remain viewable elsewhere to the extent any such copy has been shared with others and copied and stored. Additionally, we may retain certain information to prevent identity theft and other misconduct even if deletion has been requested. If you have given third party applications or websites access to your information, they may retain your information to the extent permitted under their terms of service or privacy policies but they will no longer be able to access the information through our platform after you disconnect from them. BACKUP COPIES In the event that information is removed and deleted it may persist in backup copies for a reasonable time for our internal business purposes but will not be available to others. To learn more about cookies, please click http://www.allaboutcookies.org/. When you visit our AncestryDNA Website, we may automatically collect non-personal information about you, such as the website from which you have come to our AncestryDNA Website, your Media Access Control address, your computer type, screen resolution, Operating System version and Internet browser. We may also collect non-personal information such as demographic data, for example your geographic area. Non-personal information also includes personal information that has been aggregated in a manner such that the end-product does not personally identify you or any other user of the AncestryDNA Website, for example, by using personal information to calculate the percentage of our Users who have a particular telephone area code or who are female. Because non-personal information does not personally identify you, we may use such non-personal information for any purpose. In addition, we reserve the right to share such non-personal information, with our Group Companies and with other third parties, for any purpose. In some instances, we may combine non-personal information with personal information (such as combining your name with your geographical location). If we do combine any non-personal information with personal information, the combined information will be treated by us as personal information, as long as it is combined, and its use by us will be subject to this Privacy Statement. We need your IP address to deliver the AncestryDNA Website and our service to you and to help diagnose problems with our server. Your IP address is also used to gather broad demographic information such as geographic distribution of our Users. Because occasionally the AncestryDNA Website may be partially advertiser supported, you may not "turn off" the advertising that appears on AncestryDNA pages. These companies may employ cookies and action tags (also known as single pixel gifs or web beacons) to measure advertising effectiveness (they do not collect personal information). If you wish to not have this information used for the purpose of serving you targeted ads, you may opt-out by clicking here. Please note this does not opt you out of being served advertising. You will continue to receive generic ads. AncestryDNA places great importance on the security of all personally identifiable information associated with our Users. We have reasonable and adequate security measures in place to attempt to protect against the loss, misuse or alteration of member data under our control. For example our security and privacy practices are periodically reviewed and enhanced as necessary and only authorized personnel have access to personal information. We use secure server software to encrypt financial information you input before it is sent to us and we only work with laboratories and third parties who have met and commit to our security standard. While we cannot guarantee that loss, misuse or alteration of data will not occur however we use commercially reasonable efforts to prevent this. It is also important for you to guard against unauthorized access to your passwords and the unauthorized use of your computer. We may occasionally run contests or other special promotions on the AncestryDNA Website in which we ask Users or visitors for contact information (like an e-mail address) or demographic information (like a zip code, age, or income level). We use this data to send Users promotional material about our company or third parties we deal with. The participant's contact information is also used to contact him or her when necessary and may be shared with other companies for promotional purposes, but only with your prior permission and under the terms and conditions specified when you take part in the promotion. At any time, you may opt-out of receiving future mailings of this kind, or simply decline to take part in the promotions. 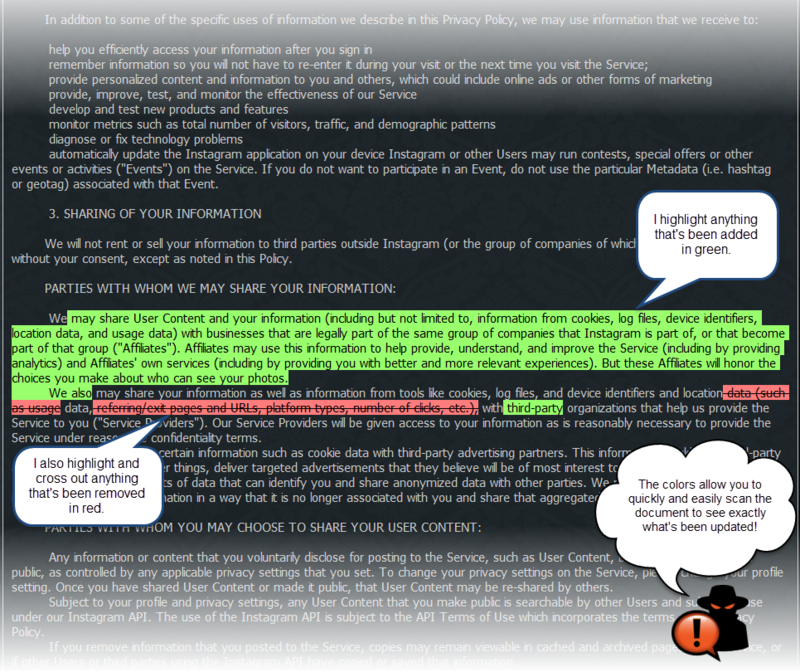 If we decide to change our Privacy Statement, we will issue an updated version of this Statement with an updated date legend(and/or notify you via e-mail or by other appropriate means) so that you will be aware of what information we collect, how we use it and under what circumstances we disclose it in accordance with applicable law. If you do not consent to any changes to our privacy statement and as a result you would like us not to use or hold your information in accordance with the revised terms, you may notify us here so we can decide whether to continue to apply the previous statement or delete your information and/or account. Deleting or amending information that others have posted about you or your family: You are not able to delete or amend this information and if it has been posted by another member then you should contact them through the Ancestry.com Website and try and resolve the issue between you. If you cannot resolve the issue then you should contact us here. If you have any questions about this privacy statement, the practices of the AncestryDNA Website, or your dealings with the AncestryDNA Website, or wish to request access to and receive information about the personal information we maintain about you, update and correct inaccuracies in your personal information, have the information blocked or deleted, as appropriate, or oppose (in case of legitimate reasons) the processing carried out with respect to your personal information (note please that the right to access personal information may be limited in some circumstances), you can contact us by either calling 1-800-958-9124 or emailing us at memberservices@ancestrydna.com. We will respond to all access requests within 30 days.